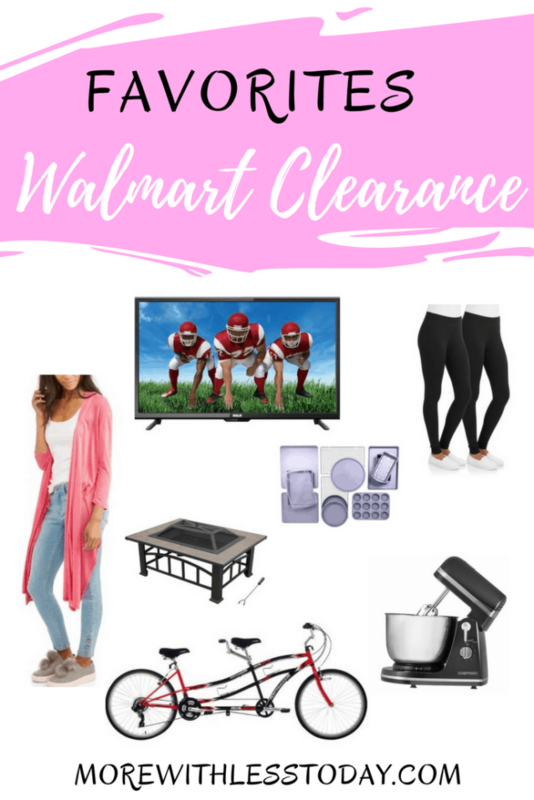 Walmart's Clearance Outlet - Amazing Deals You Don't Want to Miss! Did you know that Walmart has a clearance outlet? You can find Walmart clearance sale items here. Walmart.com can be a smart place to shop online, especially when you check the clearance, outlet, and warehouse section first! Walmart has hundreds of items on clearance right now with prices as low as $1.98. Right now there are clearance deals on electronics, home, clothing, baby, toys, sports, outdoors, and home improvement. We have affiliate relationships which means we may get a small referral commission at no additional cost to you if you shop through our links. If there are some items you want for next year’s Christmas decor, be sure and check the Walmart Clearance happening now. I spotted great deals on Christmas trees, lights, ornaments, indoor and outdoor decor. Quick link to Walmart’s Clearance Clothing including ski jackets, workout clothes, sleep sets, and more. Click here for Walmart TV Clearance sale items. Click here for Walmart warehouse sale prices on sporting goods. Many of my readers say they do not enjoy shopping in store at Walmart. Here is a way to have clearance prices and find Walmart sale items without setting foot in the store, right from the comfort of your computer, tablet or phone! Right now, Walmart is having a Clear-Out Warehouse Sale with some great markdowns. Walmart’s Clearance Outlet items are only available online although some can also be found in stores. You will see listed next to each item whether or not it is for online clearance only. How Does Walmart Clearance Work? Be sure to look under Clearance, Rollbacks and Special Buys on the Walmart.com website. You can have many of these shipped free from the site to store. This is a great place to look before you make a purchase somewhere else. You may want to bookmark this page! We have shared the links you need to most of the popular categories for Walmart clearance. You can sort by price and type easily by typing clearance + your item in the search bar. Are Walmart Clearance Items Returnable? Here is the link to the Walmart Return Policy. Most items can be returned within 90 days of receiving them. Will Walmart Price Match Clearance Items? Here is the link to the Walmart Price Matching Policy. It states that it applies to items purchased in a Walmart store. Where is Walmart’s Clearance Section? Find Walmart’s Clearance Outlet online here.